Polls concluded across Europe, following a series of deadly Islamist attacks in Paris earlier this month, revealed a record level of terror fear not only in France, but in other countries as well. 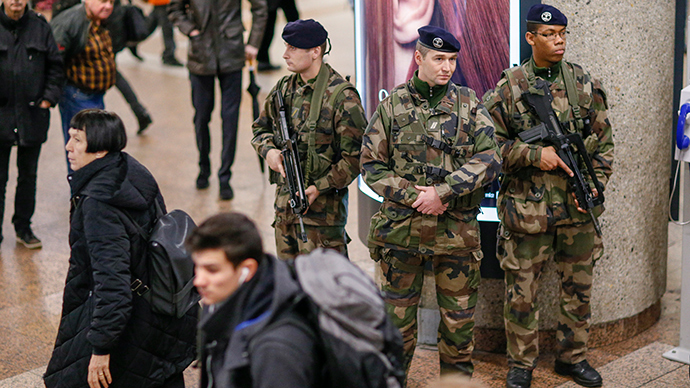 As many as 93 percent of French people thought the terror threat in the country was “high,” which is a 20 percent increase compared to last June, a recent online survey by the French Institute of Public Opinion (IFOP) said. The possibility of new attacks in France is considered “very high” by 49 percent among the thousands of people who participated in the poll. In the few days following the Charlie Hebdo attack, the sales of tranquilizers jumped by 20 percent in France, Celtipharm, a health data consultancy firm, said. In Germany, fears of terror attacks also spiked by a whole 10 percent after the violence in Paris. Seventy percent among the 1,287 Germans, who took part in the poll by ZDF channel, said that they are afraid of Islamic radicals. The Paris attacks drew thousands of Germans on to the streets to participate in anti-immigration rallies by the PEGIDA movement, with a record 25,000-strong protest taking place in Dresden on January 12. Some 32 percent of Swedes are also worried about a possible terrorist attack, a poll by TNS Sifo revealed. According to the survey, the participants said that there is a “fairly high risk” of their country being targeted by terrorists, while another 4 percent spoke of a “very high” level of danger. A YouGov survey in London indicated increasing public demand for more drastic measures from the government in tackling terrorism. It showed that 49 percent of adults support the death penalty for terrorists, who murdered people in their attacks. Fifty-five percent of men and 42 percent of women backed the reinstatement of capital punishment in the UK. Three days of violence in Paris on January 7– 9 saw 17 people killed in an Islamist attack on the Charlie Hebdo satirical paper and a hostage-taking siege at a kosher shop.